Heritage products are manufactured at our state-of-the-art North Carolina mill. One of few remaining American producers of fine textiles, the 150,000 sq. ft. facility employs a variety of computer-controlled European knitting machines to produce various fabrics of made-in-America quality. The factory performs all production steps from yarn prepara- tion to shipping finished goods. Highly automated, it operates to the strictest quality and environmental standards. 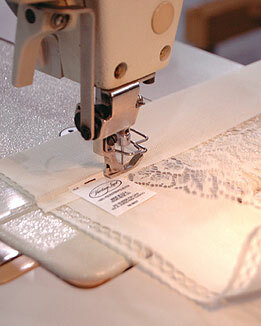 Heritage quality results from hands-on experience in textile production since 1975. The firm has a long history of innovation and production of fine and unusual fabrics through advanced technology and careful attention to detail.